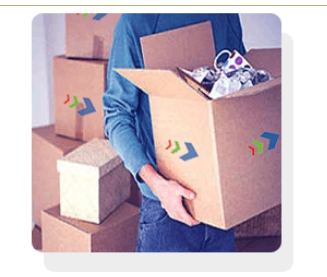 In today's busy life you need to dedicate a lot of time to get a proper Packers and Movers for relocation of ur new home we have a perfect solution for,the answer is South Eastern Cargo Movers & Packers wil make packing & moving easy for you.at every step,extra care is taken while relocating to ur new home. Southern express cargo will assist u with information and supports to ensure a smooth progress of ur goods to relocate to new location. we finally unpack all the goods. Our team can renew a house filled cartons to a fully set up new home. Southern Express Packers & Movers is a professionalized and experienced Relocation service provider all South India to all over India. We provide you professional assistance in packing your belongings and carefully moving your furniture and other household items in your new home. Southern Express Packers & Movers commitment to professional packing & moving is unparallel across the country. Remember, we handle with care, your belongings and your trust in us as well. Commercial Goods Moving Services - Our commercial goods moving services. Professional Packers: We offer efficient and reliable professional packing & moving service that covers efficient packing and safe transportation of your household as well as office. The entire packing is done under supervision of our experts who know the art of packing enough to check any damage during transportation. On time delivery is the hallmark of our service. We are feeling proud in introducing ourselves as one of the leading, reliable Cargo, Packers & Movers of repute and standing in the field back with an experience.